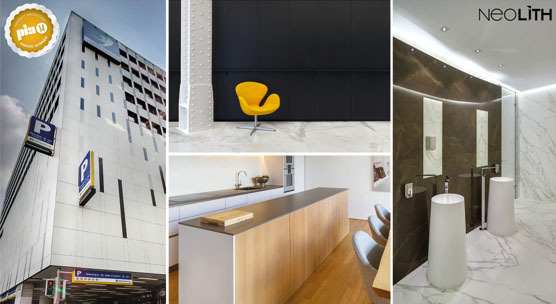 Neolith was awarded a 2014 Product Innovation Award from Architectural Products magazine. Neolith was awarded a 2014 Product Innovation Award from Architectural Products magazine. The Architectural Products Product Innovation Awards (PIAs) determine and honor innovation in the development of commercial building-related products, ranging from cladding and surfacing to elevators. From Neolith, we want to thank everyone for this recognition and continue working to be at the forefront of the industry with a product that combines design, durability, versatility and sustainability.